If you are looking for a last minute dinner idea for Father’s Day, here it is. 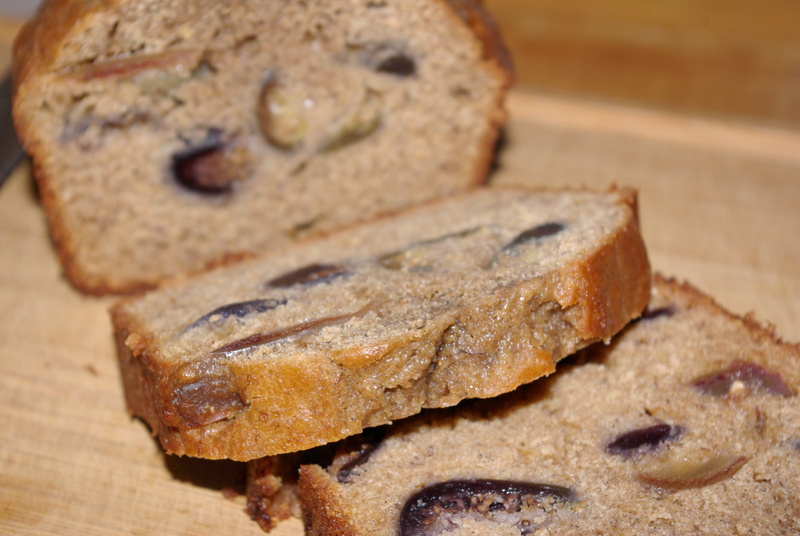 This main entreé is portable, good warm or cold, and loaded with vegetables. While savory pies and tarts are favorites of mine to make, I do not find making crusts easy. 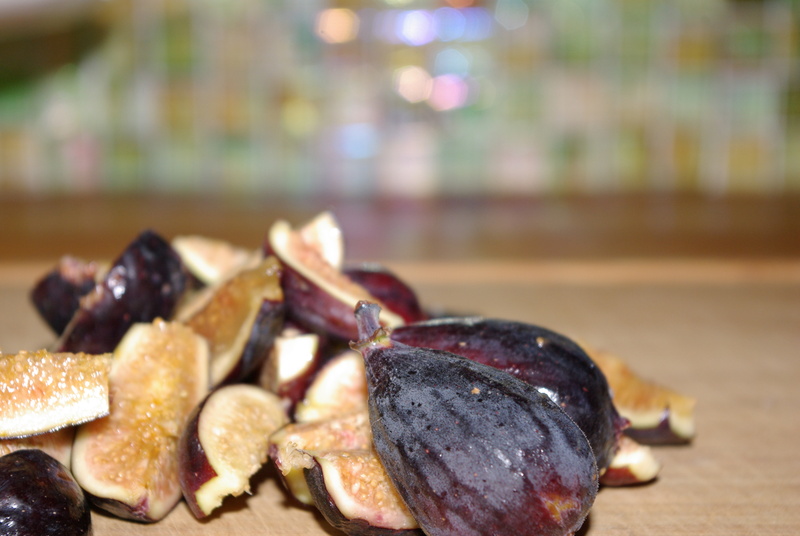 They are an added element that can make a cook (or, at least me) shy away from them. But, one made with cooked whole grains? Easy. 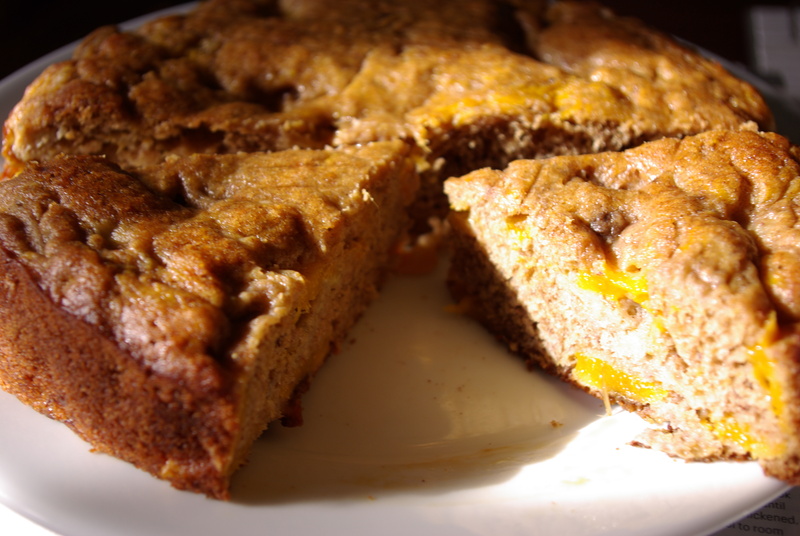 *Cook’s Notes: To make the crust begin by adding 1 1/2 c. cooked grains to the crust mixture. Add up to 1/2 c. more if you want it thicker. I chose to make a thicker crust with 2 c. cooked grains. Preheat oven to 350 degrees. Grease a 9″ pie plate. Set aside. Combine 1 1/2 c. cooked quinoa and millet, egg white, extra virgin olive oil, salt and pepper to taste. Mix well. 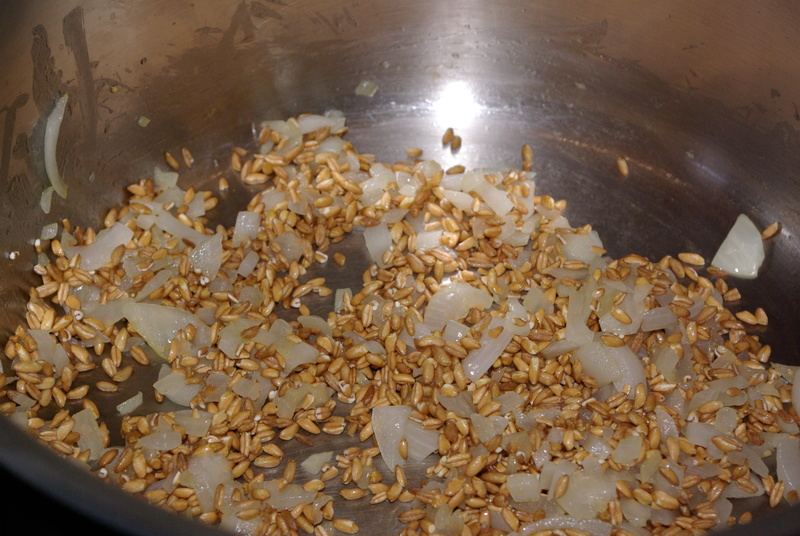 Add more cooked grains if desired. Press mixture (the back of a measuring cup works well) firmly into the pie plate. Bake the crust for 10 minutes or just until it begins to firm up. Remove and set aside. 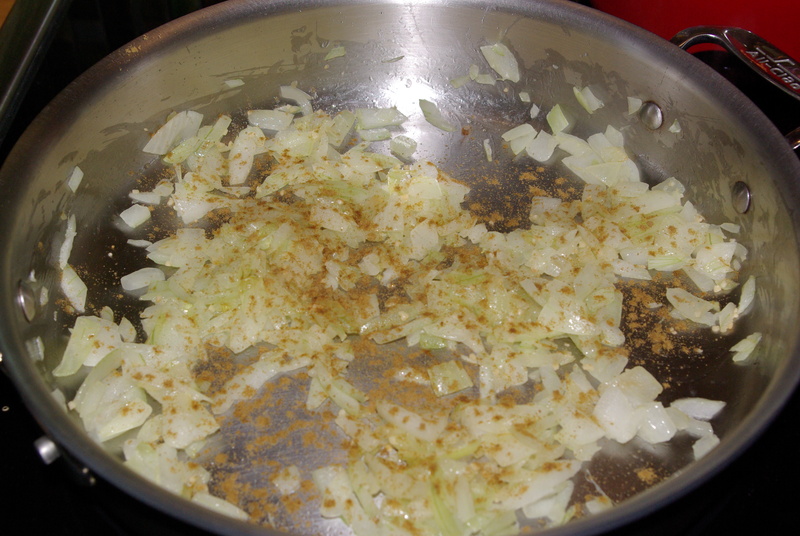 Warm a T or two of olive oil over medium heat in a large skillet, add sliced leeks and a pinch of salt. Lightly sauté leek, about 3 minutes. Add garlic. Cook 1 minute. Remove from heat. Let cool. 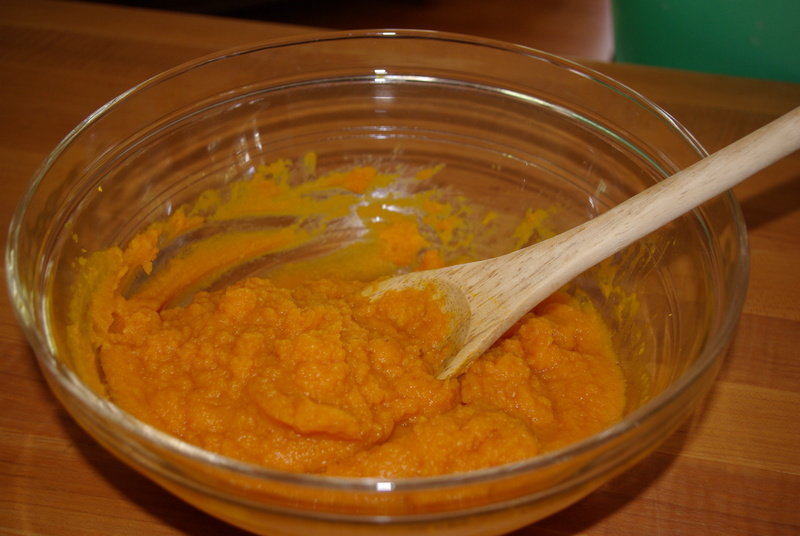 In a medium size mixing bowl, whisk together milk and eggs including reserved yolk. Salt and pepper to taste. Once greens and leeks have cooled, add to egg mixture. Combine. 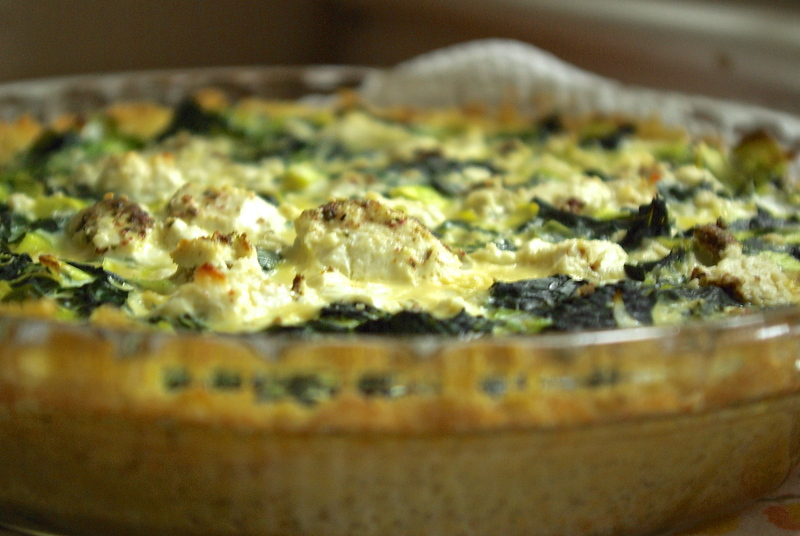 (Alternatively, the egg mixture can be tempered if leeks and greens have not cooled.) 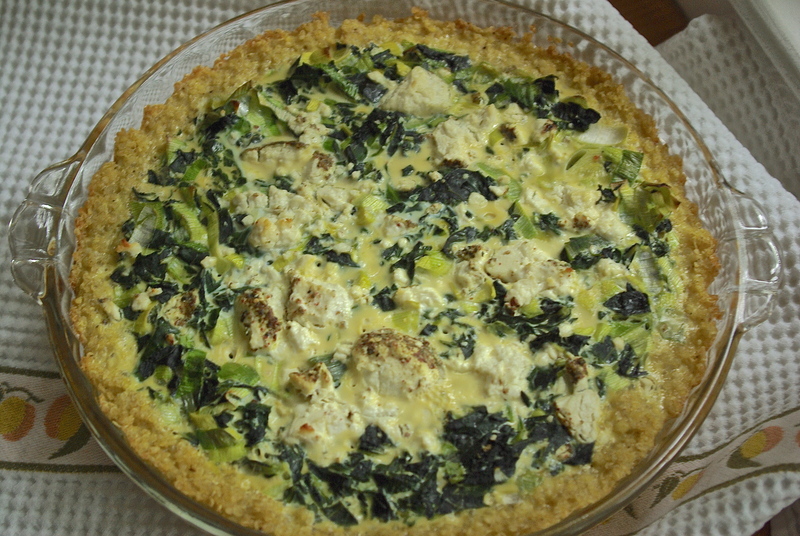 Once the greens, leeks, and egg mixture have been combined, pour into prepared pie crust. Dot the top with 2 oz. goat cheese. 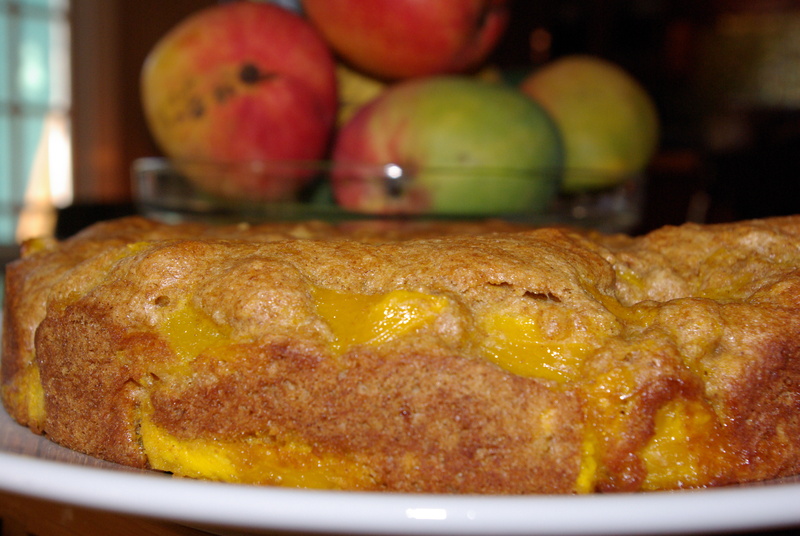 Bake at 350 degrees for 35 – 45 minutes until center is loosely set and the crust is light golden brown. Let rest 15 minutes before serving. Serve warm or at room temperature. Serves 4. If you are the one of those people who often feel inspired, I bow to you with not an ounce of jealousy. Well, ok, maybe a little jealousy. Me? I have to mine the caves of my mind, as in excavate, drill down for ideas. I can’t explain it. It could be my disposition. It could be just me. Could be … who knows? When I do run across a source of inspiration, it is a tickle. It is something that pads lightly around the edges of my consciousness like lemon zest in a dish. It is there, it perfumes the dish, but what is it? Recently I watched the Olympic swimming trials, by mistake. I happened to sit down while my husband had the TV on. I watched, maybe, 20 minutes. You know what? I started to feel a little inspired. Inspired to do what… I am not sure. But, there is no misinterpreting that tiny nudge of encouragement that leads to being enlivened and strengthened. Lately I’ve found myself feeling a certain way; and, subsequently telling myself I should be feeling otherwise. Feeling down? C’mon, Kelly, get over it. 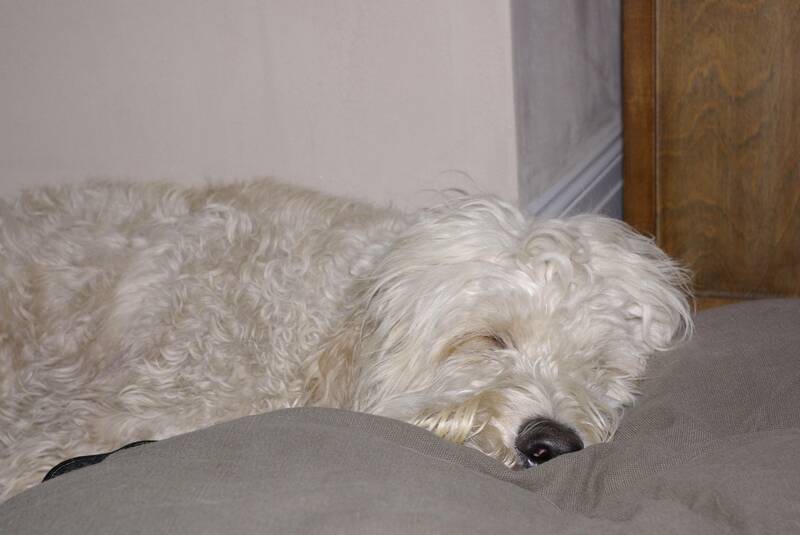 Feeling unmotivated and lethargic? C’mon, Kelly, get something done. In doing so, I am telling myself to be someone other than who I am in that moment. In turn, it leads me away from my inherent nature. By contrast, if I simply accept how I am feeling in any given moment, I am closer to my true essence. Being closer to one’s inherent nature enables us to more easily tap into creativity or inspiration because our mind’s are freer. If ideas germinate with a little tickle, a seed, then it is helpful to have a touchstone, especially if the modality encourages the mind to be freer. A touchstone that can be used to access an open state of being is So Hum. So Hum is a sanskrit word loosely meaning, “I am that.” It is typically used as a mantra. While practicing this mantra, “So” is thought to oneself on the inhale, “Hum” is thought on the exhale. Since it’s message to the practitioner is, “I am that,” by remaining in that space, we will most likely not attempt to change who we are in a given moment. Our minds will loosen up a little. Once acceptance has occurred, transformation can, and probably will, happen. Why do I post these pictures? Ideas. In the past, I found a string of pictures like this to be arrogant. A little shout-y, if you will. A little look at me. But, it occurred to me while contemplating inspiration, I frequently get encouragement from pictures or descriptions of something someone else cooked or baked, (or wrote). I may not make or do anything remotely like they did; nevertheless, it oftentimes gives me the nudge I need. Photo #1: The strawberry pie I made for two reasons. It is pretty. And, my husband loves strawberries. Although the dessert is much more sugar-based than I typically will make, the color won out. Photo #2: The second dish was created by London-based chef, Yotam Ottolenghi. He puts together ingredients in a new way. Ways I would never contemplate… until I read about how he cooks. 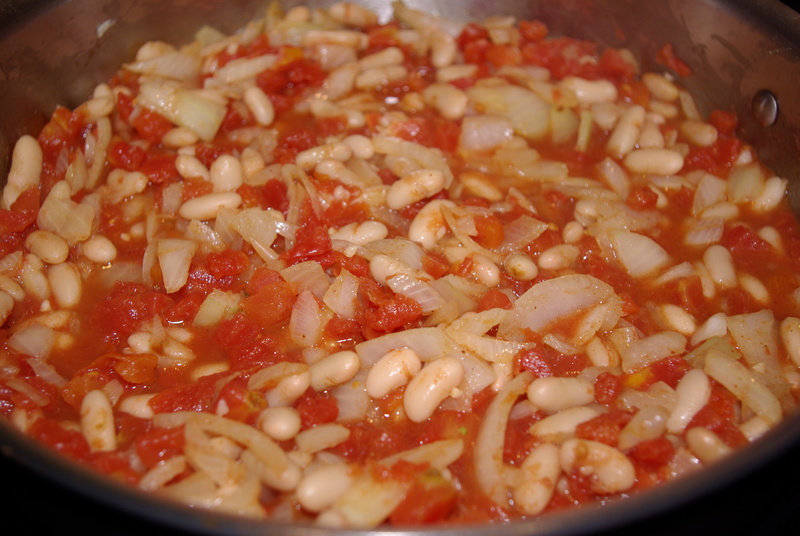 The pasta sauce pictured above is made with pine nuts, raisins, celery, tomatoes, capers, olives, and a little sugar. Very different. Very good. 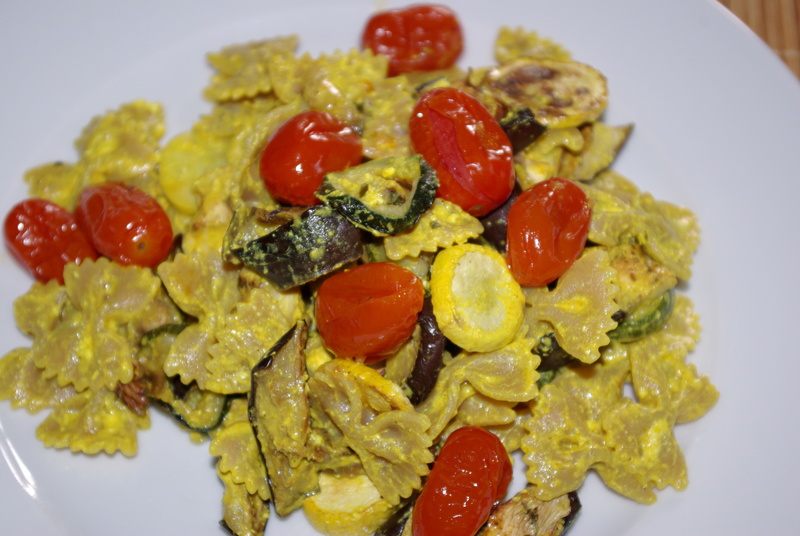 Photo #3: Baked pasta with roasted vegetables. I roasted an eggplant and an onion, par-boiled pasta, combined both pasta and vegetables with stewed, diced tomatoes, marinara sauce, basil, and topped the dish with parmesan cheese. In the oven it went for about 25 minutes. 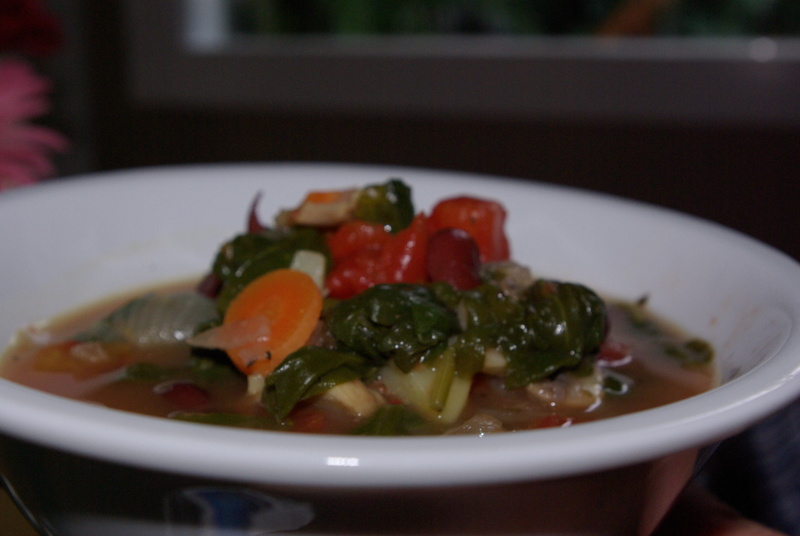 Photo #4: Summer Minestrone. A favorite of mine. I came up with this last summer (hence, it’s name) because I love soup, but not hot soup when it is 95 + degrees outside. It is good at room temperature or cold. And, you can’t beat eating a jumble of vegetables. 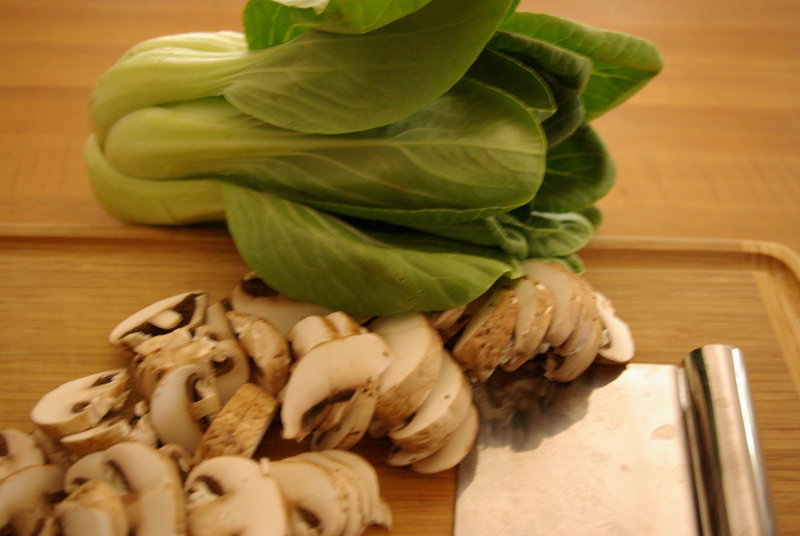 The recipe for today’s post is for Baby Bok Choy Stir-Fry with Lemon Vinaigrette. I’ve been making quite a few bean and rice dishes lately. 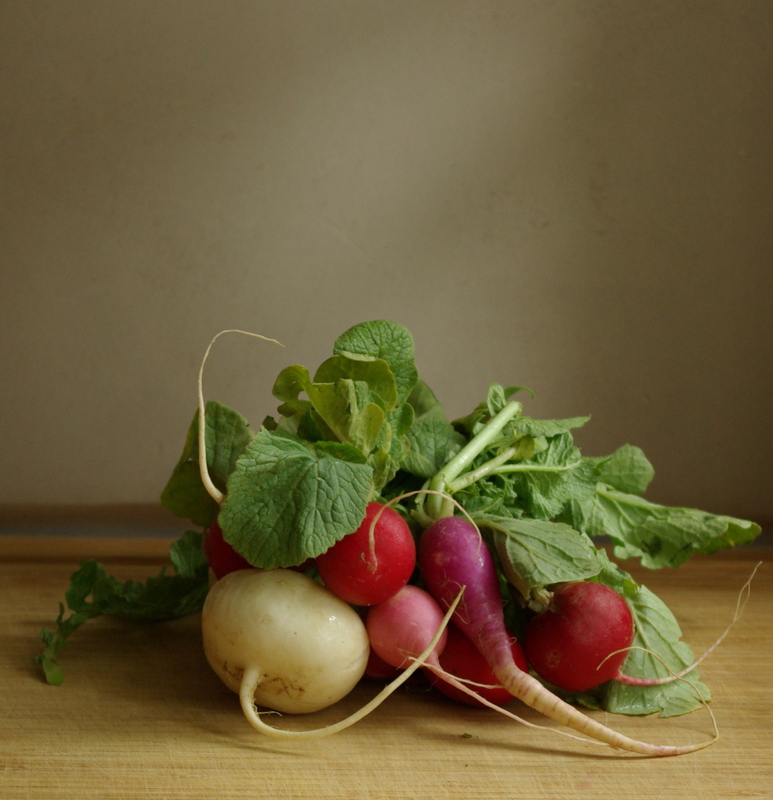 This one came about with ingredients I had on hand, and an idea for tahini dressing that I adapted. 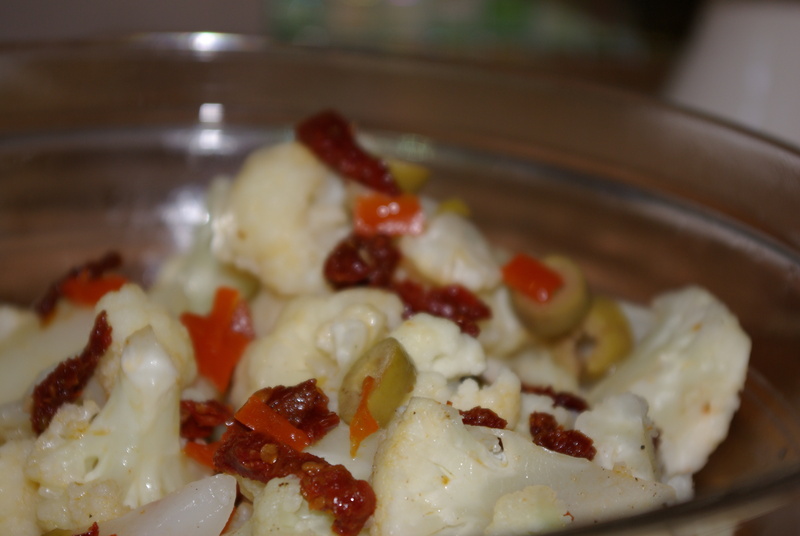 The technique of sauteéing vegetables, adding them to prepared rice and beans, and topping it all with a vinaigrette is versatile and handy. I’ve made this dish with a variety of kale also. Prepare brown rice according to package directions, set aside. 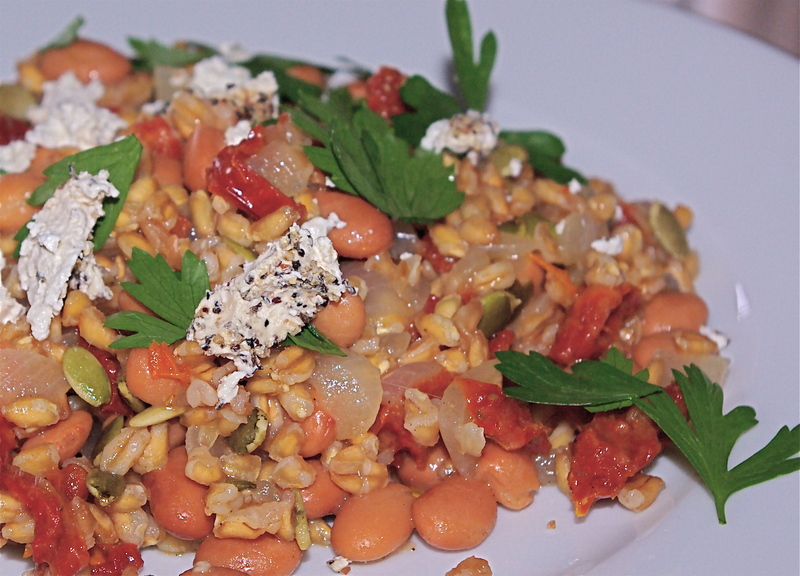 *Depending on your preferred rice to bean ratio in this salad, you may use less rice. I typically end up using about 2/3 of the cooked rice. Or, I use all of it and add another can of beans. Adjust seasonings and dressing accordingly. Rinse and drain beans, set aside. In a large skillet with a lid, heat 2 T extra virgin olive oil over medium heat, add onion and a pinch of salt. 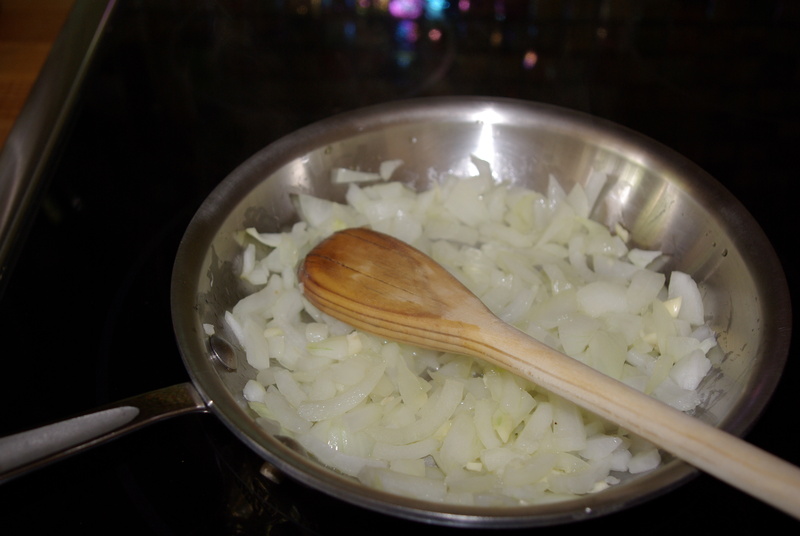 Sauté 3 – 4 minutes until the onion begins to soften and release its moisture. Add mushrooms and a pinch of salt. Sauté another 3 minutes or so until the mushrooms begin to release their moisture and begin to brown just slightly. Add bok choy, pour 1/2 c. broth or more depending on desired consistency over the top of the vegetables, add freshly ground black pepper to taste, put the lid on. Cook over medium to medium low heat until the greens begin to wilt and are cooked, about 5 minutes. Remove pan from heat. 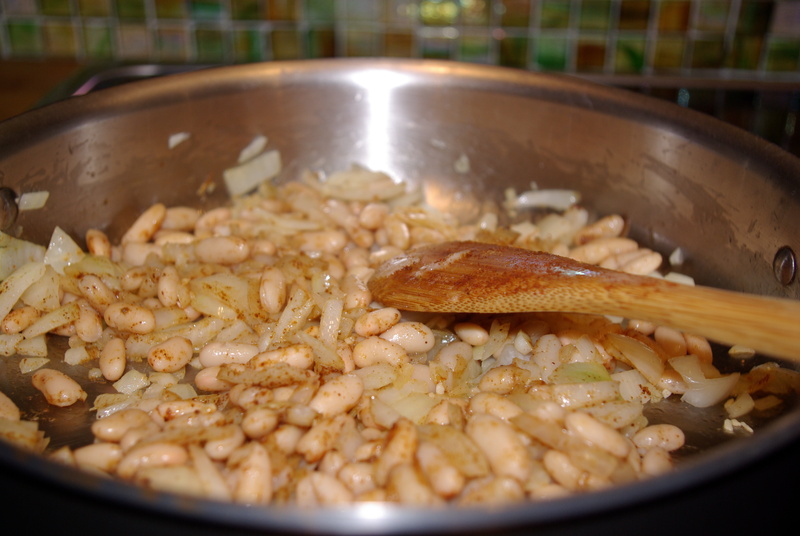 In a large mixing bowl, add beans, cooked vegetable mixture, including the broth which becomes part of the dressing, and the rice. Zest and juice lemon over mixture. Add freshly ground black pepper to taste. Drizzle about 4 T. of extra virgin olive oil over the salad. Mix well to combine. Serve warm or at room temperature. What do I hear in that? I hear silence. I hear softness. I hear acceptance. I hear surrender. What is my reaction to these words? It makes me want to breathe. Breathe deeply. Somehow those words distill the essence of the moment. Time slows. To me, Tina’s words are akin to the psychological effects of surrender. During the process of surrender, time slows, the essence of the moment can become distilled. ”The act of surrender engages, rather than avoids, the process of transformation,” explains Mary Beth G. Moze. I feel transformation in the words of Tina Chang. This may be presumptuous of me, but it seems as if Ms. Chang has done the work she has needed and wanted to do, and then let it go. More importantly, it seems as if she may transmute herself continually by the act of surrender. If she is doing this, then she is letting go of any perceived control the ego has. So can we. Why am I interested in this? I am fearful. Fear is, in part, operated by our desire to control. My fears (if they are strong) tend to lead to obsessive thoughts. Could surrender be part of the puzzle I was missing in order to deal with this fear ? I didn’t think so because I practice surrendering regularly. I’ve learned over the years to welcome any and all thoughts. Give them an equal place at the table as Rumi tells us to do. Ok, been there, done that. But, by welcoming this fear, this time it wasn’t taking an equal place at the table. It took many seats. We can employ what I think of as more traditional stress relievers that will help the situation, muscle relaxation, deep breathing, visualization, exercise, and keeping journals. But, sometimes the stressor that causes the fear is just there. There are times in life when, for whatever reason, it is not going to go away anytime soon. What to do? 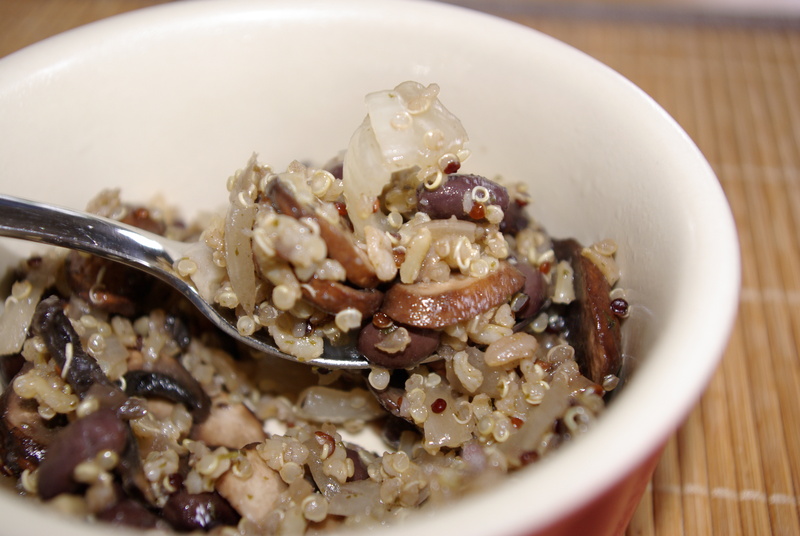 Recently while making dinner, a quinoa and rice beauty, I was carrying on a conversation in my head about how to explain to a seasoned, trained meditator, my problem, hoping she may have some advice for me with respect to dealing with this fear. I knew from experience how the act of surrender gives rise to the process of transformation. But, as I mentioned, I had tried that in the past weeks and it didn’t seem like I was making any progress. I found myself time and time again coming back to my fears. Telling myself I just needed to be braver. Needed to pull up my socks and get done what needs to be done. In other words, I was starting at point A, and I’d return to point A. My goal was to get to B, not Z, just B. While I was thinking about how I would explain my situation to the trained meditator, I realized what I needed to do. I needed to surrender to the fear, as opposed to simply surrendering to a particular situation. In my opinion, what I had been doing was trying to control and compartmentalize the fear. The fear is not going to go away. (It is a healthy fear, based on a medical situation, not an irrational fear.) Possibly by my desire to control and compartmentalize it, I may have given it a bit more power. Recently my husband and I learned the timeframe I would be in an upcoming surgery and a recovery room, my husband smiled and said jokingly, “I have plenty of time for a round of golf.” His comment smoothed the rough edges. Comparably, my surrendering to this fear (which is an ongoing act) has also smoothed the rough edges, if only a bit. By doing so, maybe I too have framed the current moment in softness. Even if only for a moment. One of my goals is to live life, “… from a new way of knowing rather than just seeing it from a different perspective,” as Moze describes when explaining how powerful the act of surrendering can be. I am not saying I’ll reach that place soon or even in my lifetime. But, if I can make small, small incremental movements toward that place, I am happy. 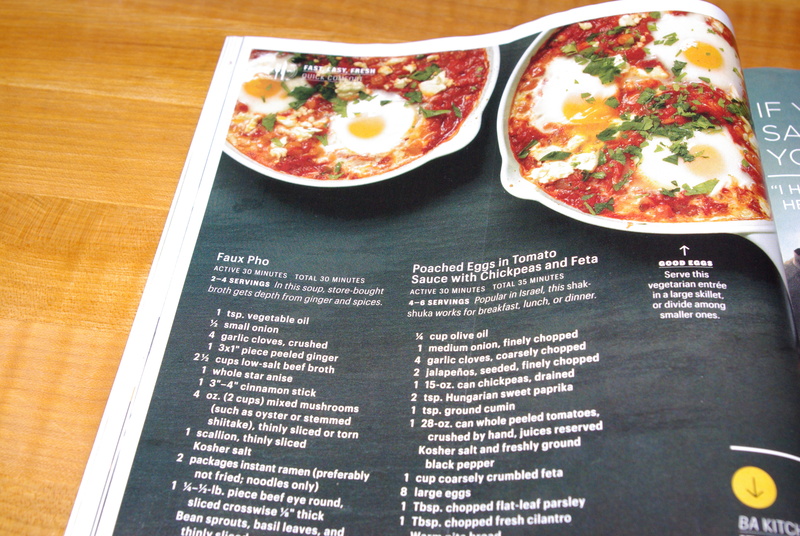 I read a recipe in Bon Appétit that got great reviews, but at first glance it did not look exciting to me. I decided to try it. My first instinct was wrong. The dish is really good. The elements of lemon juice, parsley and cheese contrast nicely with the different grains. It has become one of our staples. Cooks Note: I’ve adapted the recipe and included the ingredients I used. 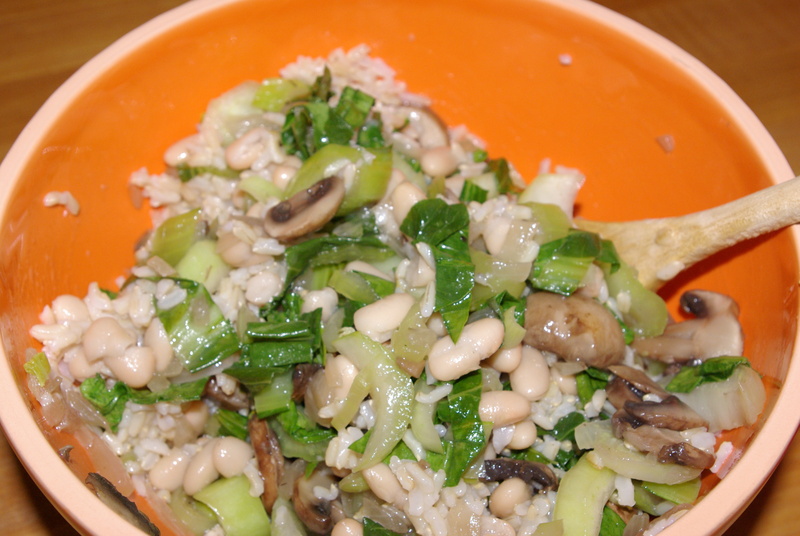 Although the contrast of colors is pleasant, and we eat with our eyes, you can use what you have on hand for the grains. 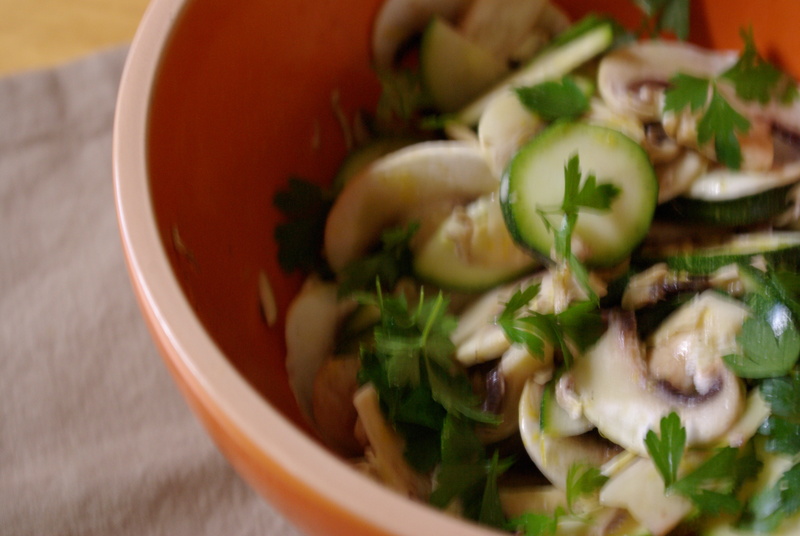 The original recipe calls for adding fresh chives and cilantro. I did not have any on hand. They would be a nice addition. Meanwhile, heat 2 T. oil in a skillet over medium heat. Add onion, pinch of salt, and cook, stirring occasionally until soft, about 8 minutes. Add garlic and cumin. 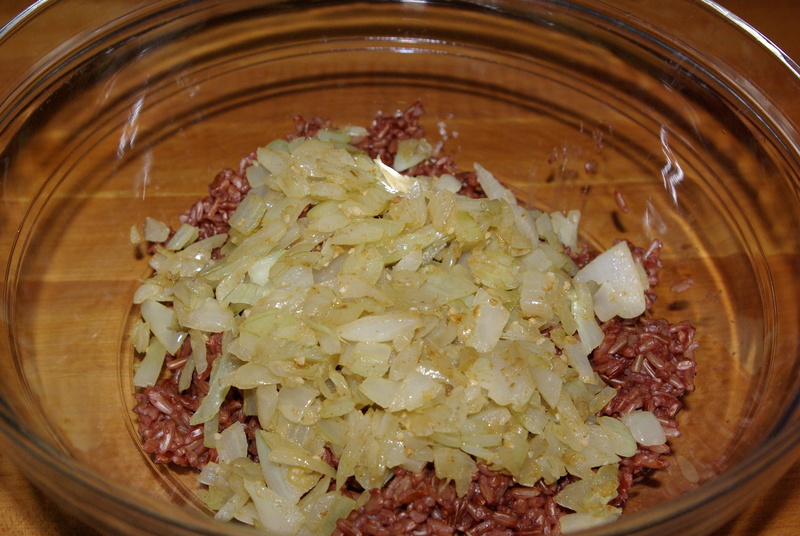 Cook, stirring often, for about 1 – 2 minutes until the garlic and cumin are fragrant. Remove from heat. 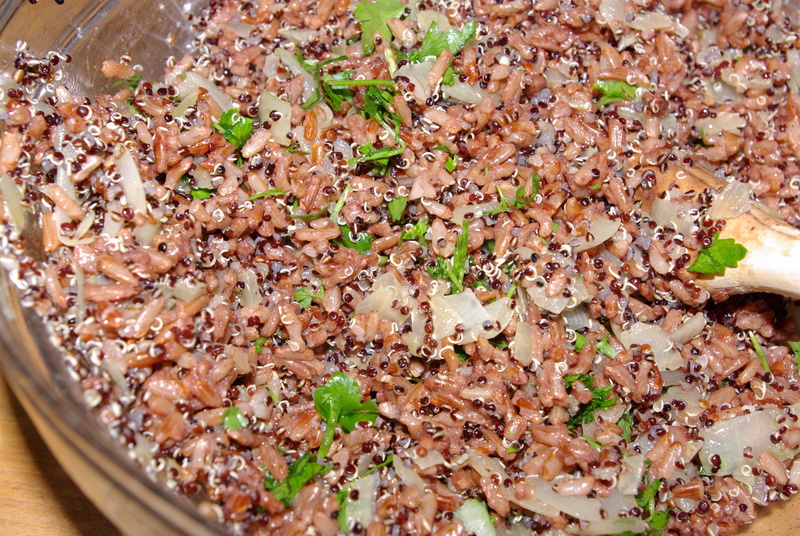 Transfer quinoa and rice to a large mixing bowl. 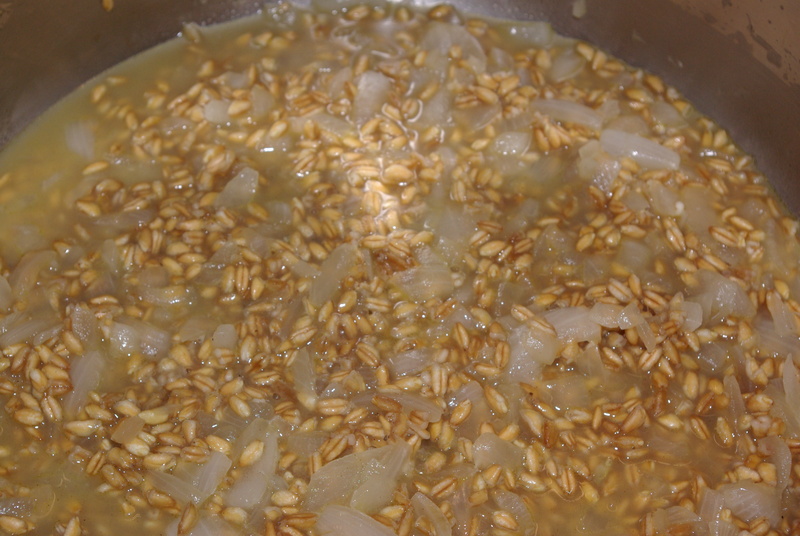 Add onion mixture. Add remaining oil, lemon juice, parsley and other herbs, salt and freshly ground black pepper to taste. Combine well. 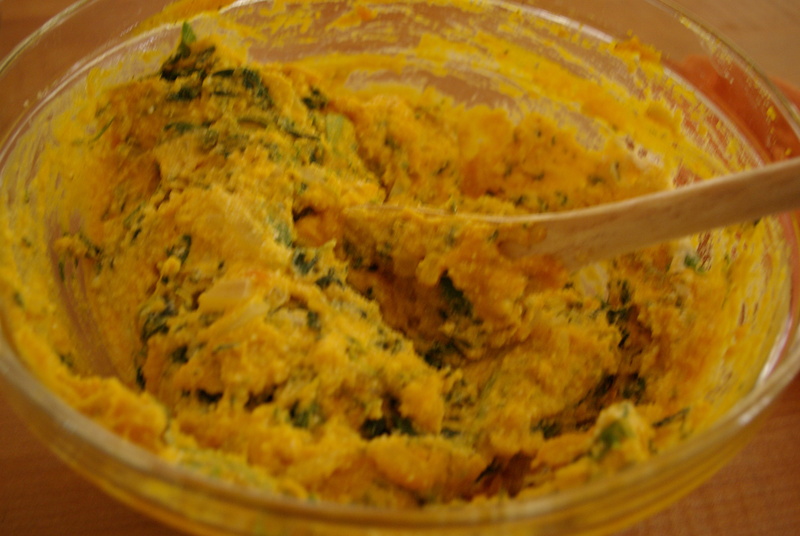 Serve with wedges of avocado and lemon, adding additional herbs if desired. Crumble cheese over top of each portion, if using. If I could just get out of my my own way, I may get somewhere. But, that would also mean I need to remove my obstacles, my psychological obstacles. Ugh. Obstacles that I’ve created. Double ugh. I wish I could say that removing self-imposed obstacles can be done by squeezing our eyes shut as intensely as only a four year-old can, waving a magic wand, and…pouf ! we would open our eyes and immediately feel lighter, happier, and brighter. But, removal of obstacles is a little bit like Butternut Squash Lasagne and “The Little Engine That Could.” The former takes time. Time to make and bake. The latter uses more mind power. Removal of obstacles takes both. It takes time and mind power. Well then, let’s get to it. It is said that emotional wounds prevent us from manifesting our true happiness. If this is the case, it seems to me our wounds, wounds that we have not yet healed, may be co-owner of creating many of our obstacles. If psychological wounds lead to obstacles, then, by recognizing the wounds and obstacles are there, accepting them, and believing we won’t let them define us, we should find ourselves mentally healthier and happier. Addressing both psychological elements of wounds and removal of obstacles are big concepts to handle in a small space. Maybe someday we can drill down deeper into it. But, I think simply developing an awareness of wounds and obstacles in our lives is quite helpful, quite healing in and of itself. As a good friend of Scott’s says, “Just showing up is 80% of the job.” The same rings true for beginning to identify these two elements in our lives. Because once we simply begin to notice them, I believe we’ve come a long way. So, where do we start? How do we do this work? A good place to start is by becoming mindful of obstacles we’ve put squarely in our paths of something we want to accomplish. Ask yourself, have I set a goal but find myself doing everything except those things that enable me to progress toward it? Or, do you want to accomplish something, but find yourself running around doing everything but that one thing you want done? If so, don’t judge it. Just be mindful of it. Realize that it is there. Recognize any wounds that may or may not accompany that particular obstacle. Ask yourself, do I have a wound associated with this obstacle that needs to be healed? Give yourself a few quiet moments and see where your attention is directed in your body. Just feel what comes up. Here is an example from my life. I wanted to learn how to cook. But, I didn’t want to go through the process of making it happen. Why? Because I had obstacles I didn’t want to deal with. Exasperation and frustration were standing squarely in my way of achieving enjoyment being in the kitchen. They stood there appearing unmovable with their arms crossed. We may feel the thoughts first because our central nervous system will react to them whether or not we realize what we’ve been thinking. That can also be a clue to our undercurrent of thoughts. We may feel something before we notice them. Step 1: Notice how you feel (recognition of wounds and obstacles.) Ask yourself if there may be one wound or obstacle you’d like healed or removed. Give yourself a few quiet moments to listen for a response. Another clue in identifying obstacles is looking for areas in our lives where we make continual excuses about not doing something. Or, maybe we need to forgive ourselves for a past action to remove an obstacle. Pay attention to areas of your life where you simply have a feeling needs work. Step 2: Be mindful of the response you receive in step#1, if there is one, and gentle with a feeling, if one comes up. This exercise is not meant to be used to chastise ourselves. It is meant to treat your feelings with gentleness and respect. Accept and acknowledge the thought or feeling, if there is one. Whether negative or positive, give that thought or feeling a place at the table. It is a part of you. Don’t push it away. But, at some point, you may tell it it is no longer going to take a front seat anymore. It is time for another, healthier emotion to take the front seat. Step 3: Excavate. Look into that emotion or thought. What is beneath it and in it? Tell it you are sorry for what happened (healing wounds.) But, things happen and you are ready to move on. Being mindful and developing awareness can be done while driving to school to pick up your child, or while unloading the dishwasher. They can be and are meant to be woven into our everyday lives. Oh…by the way, I don’t see any harm in squeezing our eyes shut and waving a magic wand when we feel like it. I, for one, have tried it and I am pretty sure a little fairy dust came my way. 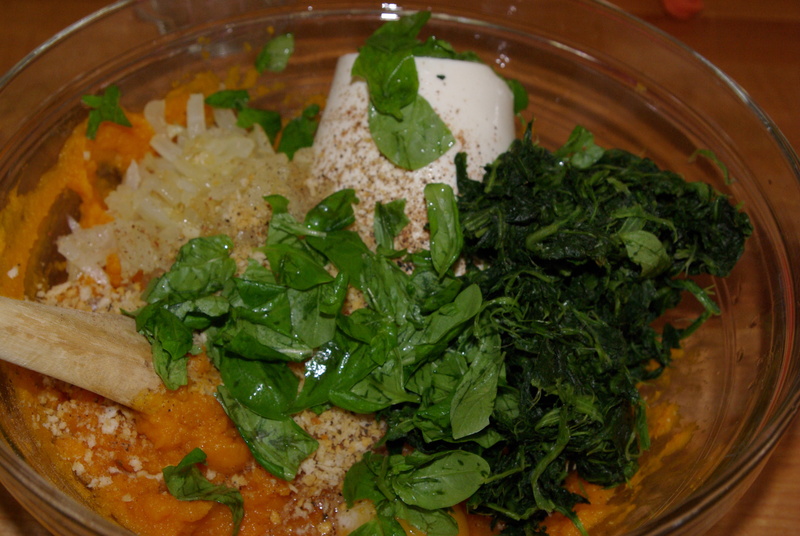 For another recipe, how about trying a Butternut Squash Lasagne? 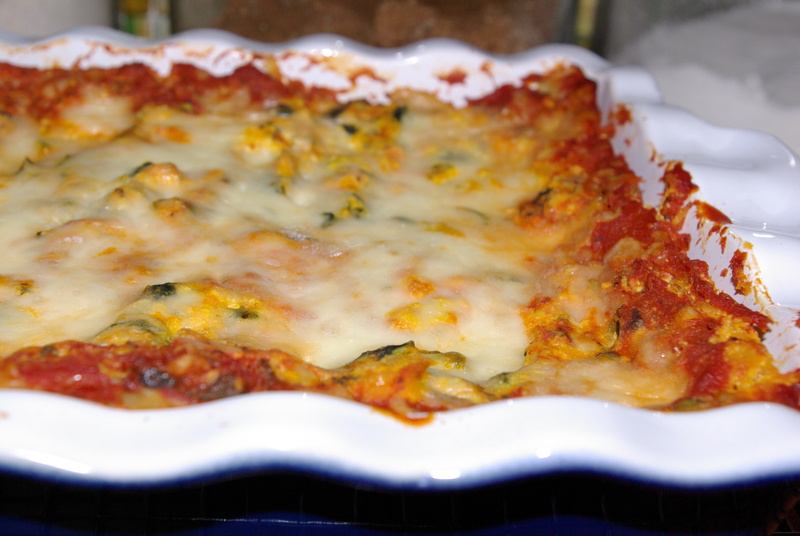 The typical flavor profile of a lasagne is changed using the squash. 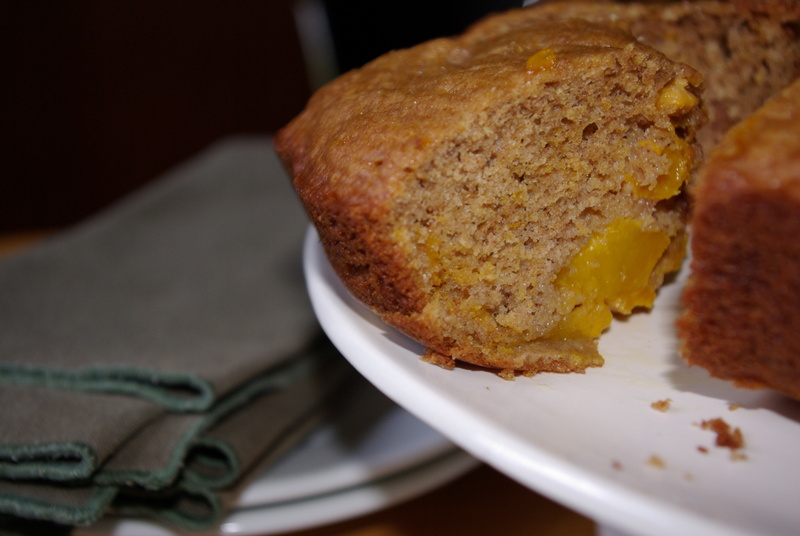 It is slightly sweeter with a different texture. I added spinach because I love something green in almost any dish. The result is a healthy, not too involved, lasagne. 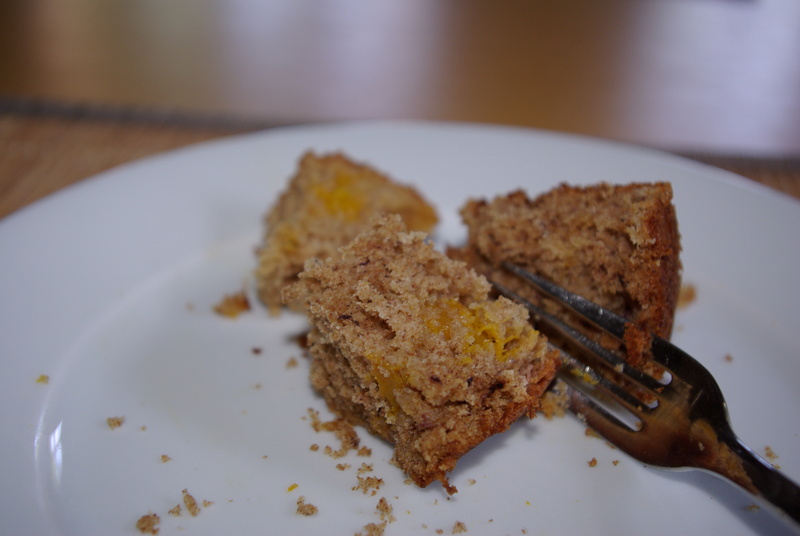 Years ago while making a butternut squash casserole, I found squash pairs well with nutmeg, sauteéd onion, and bread crumbs. Continuing that theme, I added those elements to this recipe. Preheat the oven according to the pasta instructions. In a medium mixing bowl, combine the sauteéd onion through the basil. Add black pepper to taste. 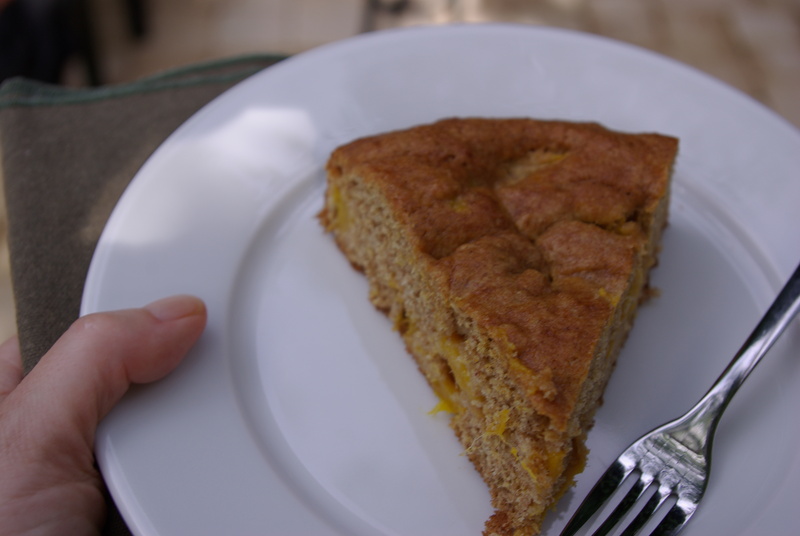 In a 10″ x 8 ” baking dish( if you do not have a 10″x8″, try a 9″x9″ baking dish), evenly layer 1/3 of the sauce, 3 pasta sheets, 1/3 of the squash filling. 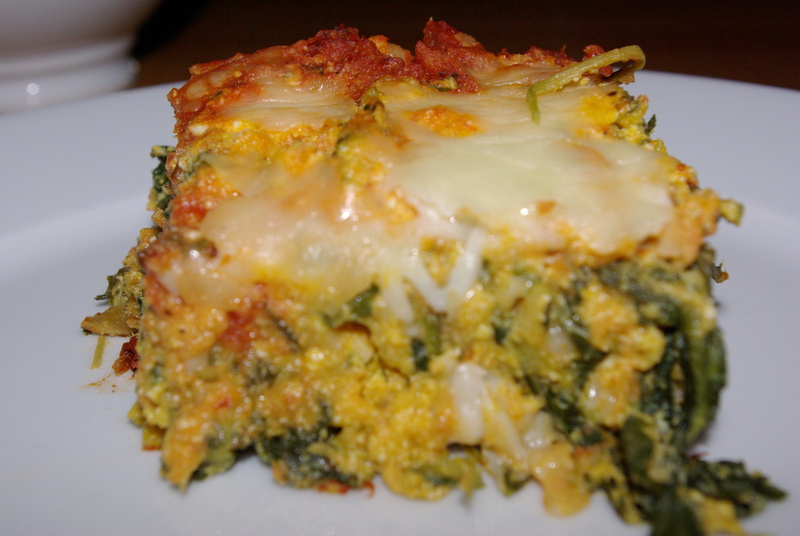 Repeat twice until the final dish has three layers of sauce, pasta and squash filling. Top the lasagne with cheese. 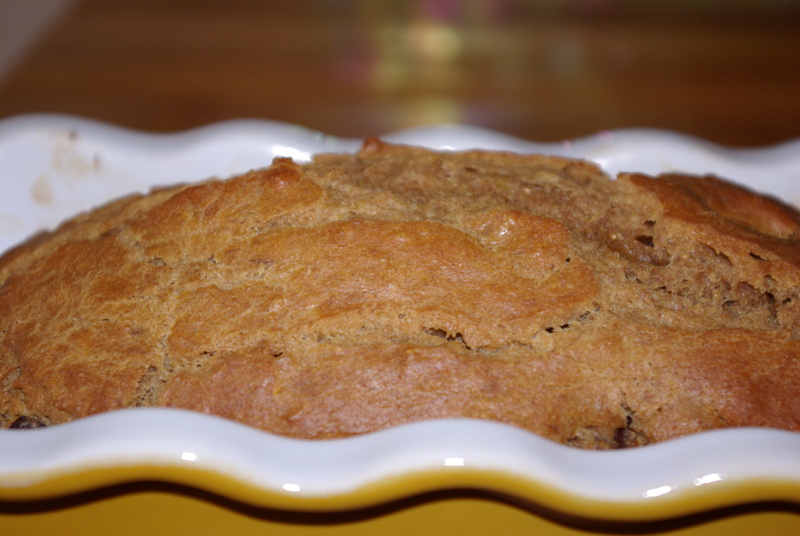 Place baking dish on a baking sheet to avoid spillage in the oven. Tent with foil. Bake for 1 hour and ten minutes or until sauce is bubbling up around edges. Remove foil for the last ten minutes of baking time. Let lasagne rest for at least 15 minutes, preferably 30, before cutting. Serve warm. “What lies behind us and what lies before us are small matters compared to what lies within us.” - Emerson. On Monday of this week, my doctor told me I had abnormal test results. She also told me I need to come in for another procedure. Not much other information was given. Nor did I ask many questions. She was in a hurry. We hung up the phone. My emotions rally as if assembling in a mass meeting. So, I am going for a second opinion and consultation with another doctor. We’ll see. Again, “what lies behind us and what lies before us are small matters compared to what lies within us.” - Emerson. In a situation such as the medical one I found myself in this week, my mind comes up with all of the things that could be wrong with me quicker than greyhounds out of a starting gate. Then, my emotions dovetail on my thoughts until soon enough they are leading me; and, I have myself in a grave within six months. No kidding. The whole process doesn’t take long. I can pull it off within 1 – 2 minutes. Why in the world don’t I think of everything that is right at that juncture in time? I do not know. I can, however, think of much that is right when I remind myself to and when I train myself to. It takes management. Daily Management of the Mind. That is how I’ve come to think of it and what I call it. Just as we might train our body to run a marathon, we can train our minds. We are able to learn how to calm the fluctuations of the mind. Many of the same concepts apply in training the mind as training for a marathon. It takes consistency and discipline. It takes mindfulness and awareness. How does one begin? Spend time for a few moments daily being quiet in whatever form feels natural to you. There is one caveat. Tune out information and sound input to the extent that it is possible. In other words, set the book down and turn off the laptop, TV, and radio. In the long run this practice equips us to deal with everyday stresses. It fine tunes the life skills we all need and put into practice everyday. It leads us to contentment internally, rather than leading us away to find it externally. Meditation, or sitting quietly, also aids us in recognizing that thoughts, feelings and emotions change with the moment. If you’d like, you can watch your thoughts and emotions moving through your mind while sitting quietly, by observing them as if you were the witness. In turn, detachment is created and learned giving you something else to put in your arsenal for managing your life. Meanwhile, I’ve been playing around with various vegetarian dishes. 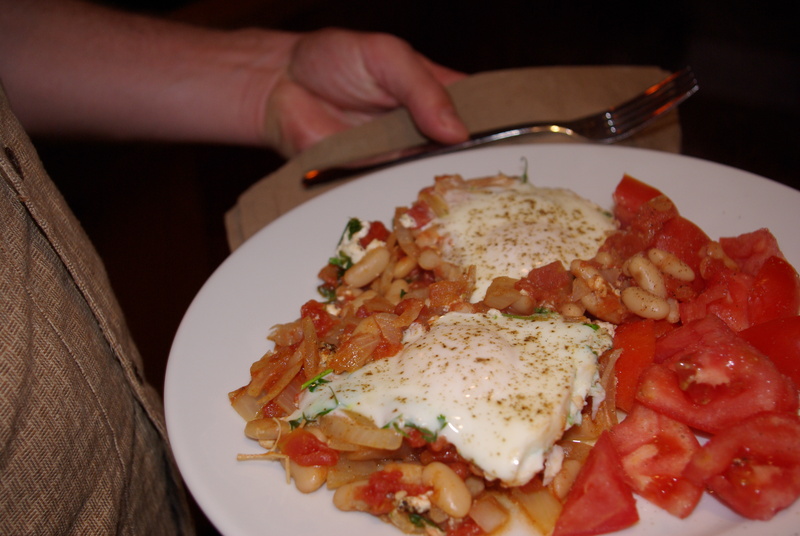 One of my favorites is a combination of beans and tomatoes with a poached egg on top. The technique for poached egg dishes like this is to create a flavorful bed of ingredients that have already been cooked or sautéed on which the eggs rest. 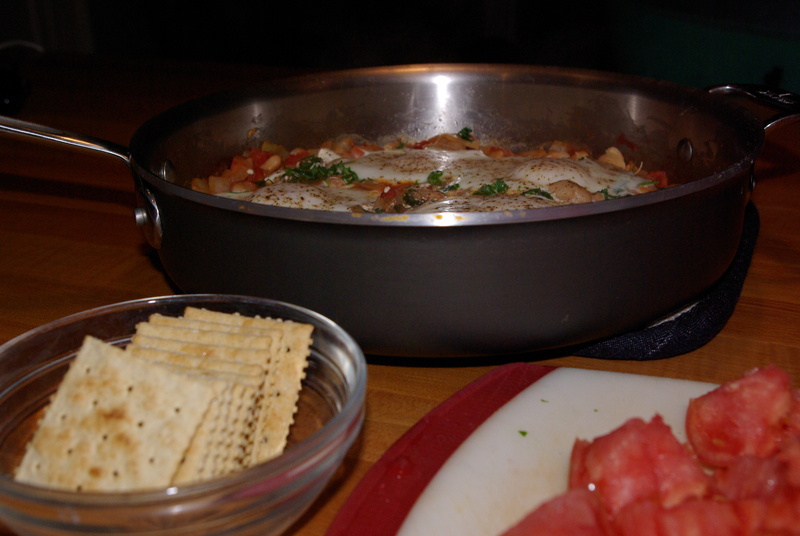 In the same ovenproof skillet that the tomatoes and beans are cooked, the eggs are poached in the oven until the yolks are slightly set. *Cook’s Notes: If you do not have an ovenproof skillet, simply make the tomato and bean mixture in a skillet on the stove. 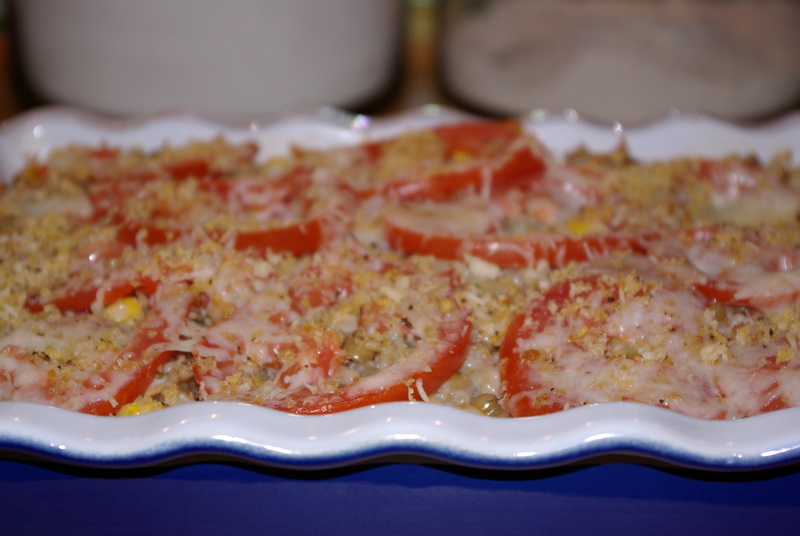 Transfer the ingredients to a lightly oiled baking dish and proceed adding cheese and eggs on top of the bean and tomato mixture. I served the eggs with saltines and chopped tomatoes. In a medium size *ovenproof skillet warm 2 – 3 T. of extra virgin olive oil over medium heat. Add onion and sauté increasing the heat if necessary 10 minutes or until the veg begins to soften and turn a translucent color. Add garlic, lowering heat if necessary so as not to burn. Stir 30 seconds or until garlic is fragrant. Add beans and diced tomatoes, paprika, cumin, black pepper, salt to taste, bring to a gentle boil. Reduce heat and simmer until sauce thickens, about 15 minutes. Crumble goat cheese over cooked ingredients, add parsley if using, crack 4 eggs on top. Salt and pepper the eggs. Bake at 425° for 7 – 9 minutes until eggs are set. Serve hot. 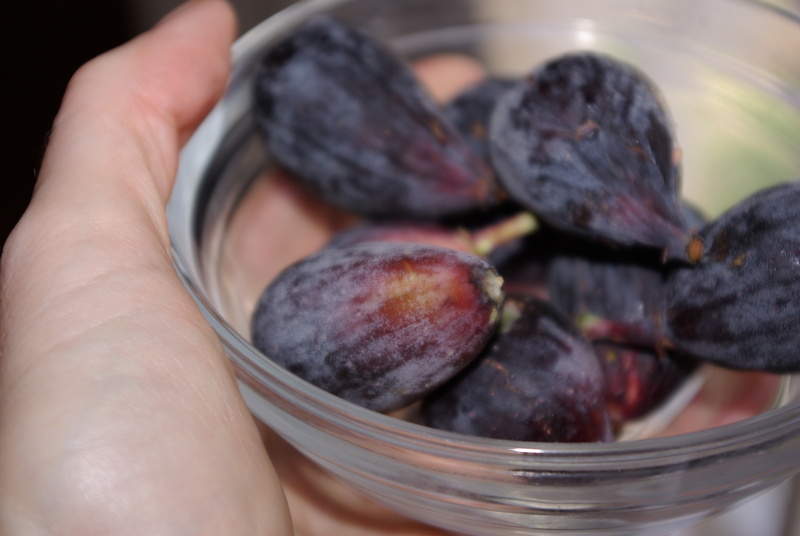 Yield 2 – 4 servings.